The new NUL Bursar, Mrs. ‘Masechaba Mantsoe-Ntaopane, assumed duty in August, 2017. She is an alumnus of the National University of Lesotho who graduated in 1996 in BComm. (Accounting). 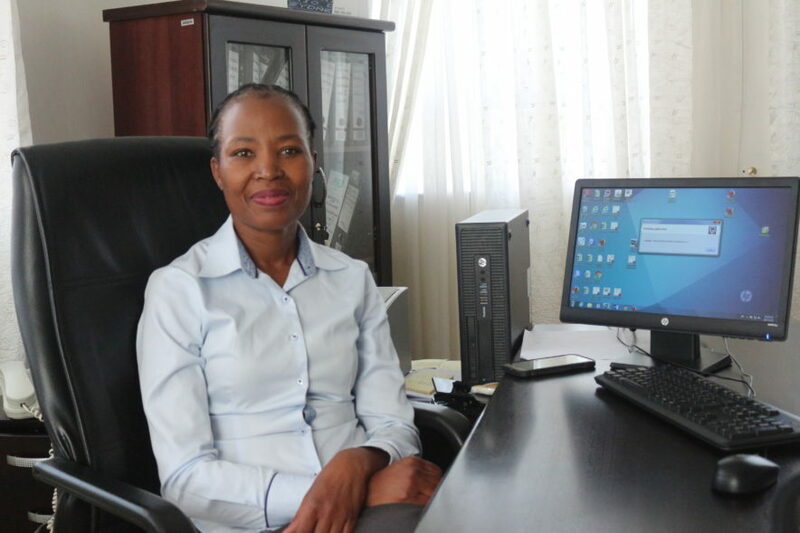 She furthered her studies in 1997–1998 for Registered Accountant with Lesotho Institute of Accountants (LIA). She acquired Chartered Accountancy from Lesotho Institute of Accountants in 2000. She enrolled with University of the Free State in 2011 and obtained her MBA in 2013. She brings a wealth of experience in finances and leadership having worked at the helm of various financial institutions and administered finances for big corporates. From1996 -1998 she worked as ASSISTANT ACCOUNTANT at the Lesotho National Development Corporation. From 1998 -2000, she was appointed as an Accountant for the Lesotho National Development Corporation. In 2004, she joined Nedbank (Lesotho) Limited as Chief Financial Officer until 2007. She then joined Lesotho Electricity Company as a General Manager – Finance until August 2016. Among her many achievements, Mrs. Mantsoe-Ntaopane managed to clear the Lesotho Electricity Company three-year financial reports backlog to full; ensured the Company’s compliance to statutory requirements and; reduced companies stock losses by more than 80 per cent. She received the Lesotho Institute of Accountants Award for best BComm. student 1996. She also received the Nedbank Top Achiever Award 2005. She is a professional member of Lesotho Institute of Accountants. She likes Reading, Athletics as well as Playing golf. Mrs. Mantsoe-Ntaopane is here to drive the University’s vision and mission as the custodian of university’s funds.